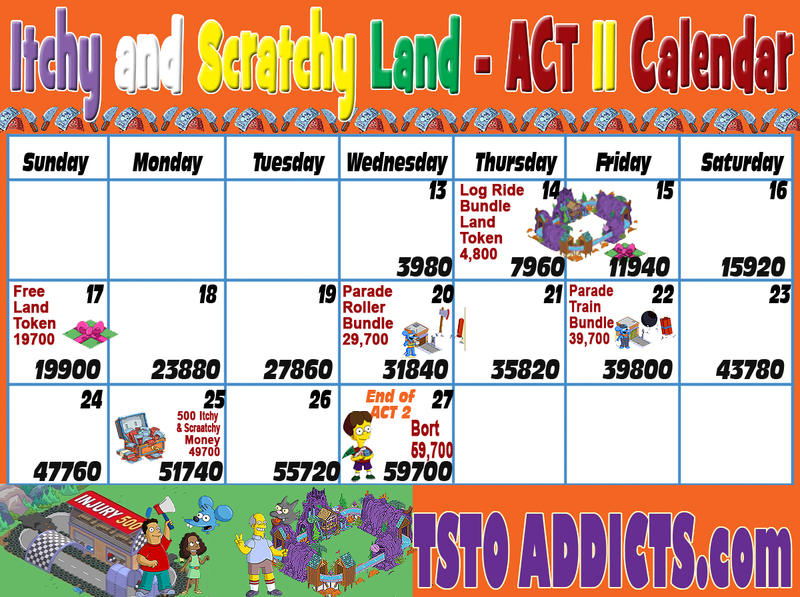 ← Itchy and Scratchy Land Act 2 is Live! Once again…the key to “success” (and who can really define success in TSTO?) 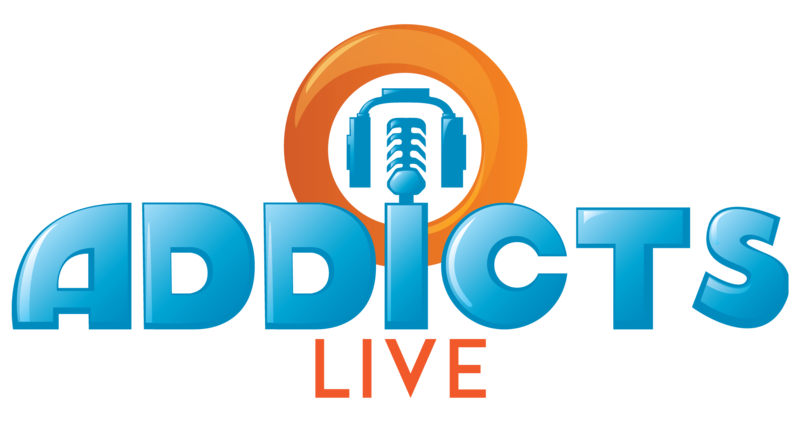 is logging on every 4 hours, for as many days in a row as you can sustain the grindtastic boredom of doing so. If you do that, you will not only get all of the prizes…but have enough Crafting Currency to make the largest Water Slide imaginable. Providing you care about the largest water slide imaginable. Bort…who doesn’t want a Bort? We should all decide to a Bort! Right? I’ll get into the “who is this guy?” in another post. But, it is actually a pretty funny joke…especially for a guy who NEVER found “personalized swag” with my full name. Pat? Yes. Patric? Never. There is really no magic here folks. As in none. 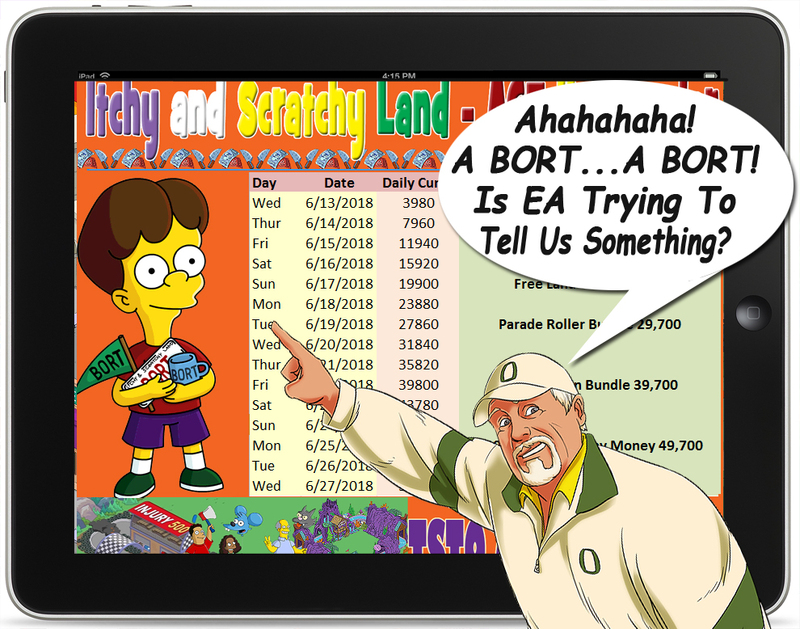 If you log in every 4 hours or at least 4 times a day…you will get a Bort. If you do that, you will also have enough Crafting Currency to get the Log Ride…and then some. 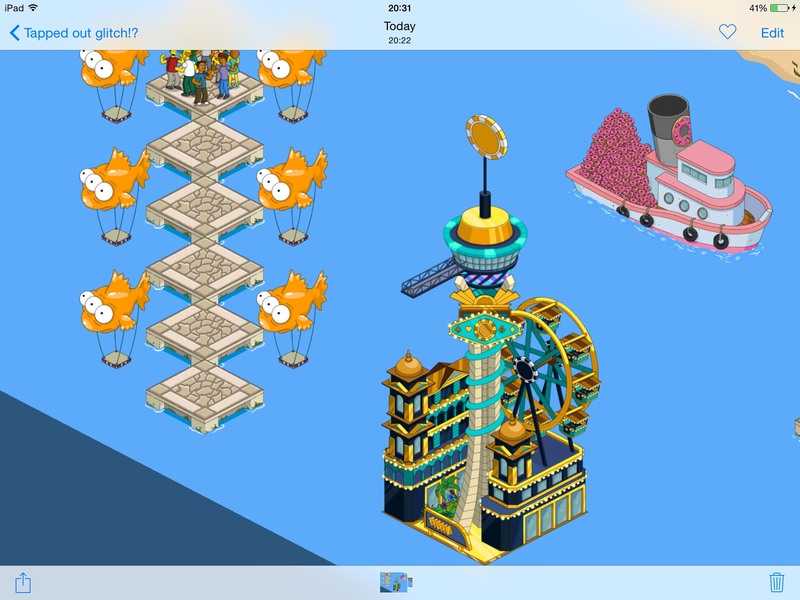 I actually had enough currency left over from Act I, to build the Log Ride…add some features…and pretty much use all of the connected land I had available to still bonus…in the first 15 minutes of Act II. So…whoop…whoop… just another 14.5 days of grinding left. Cool. Yay. Go Bort! 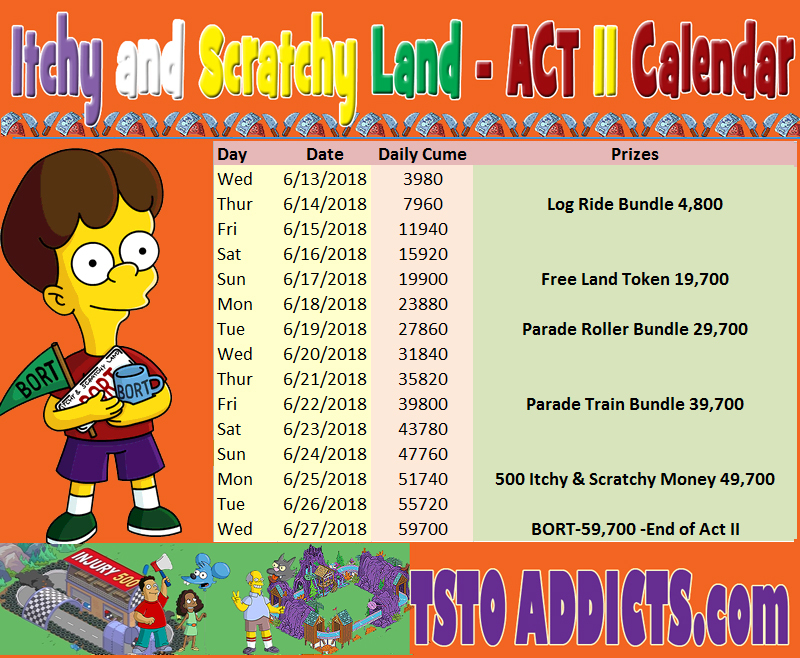 This entry was posted in Tapped Out and tagged Tapped Out Tips and Tricks, The Simpsons, The Simpsons Tapped Out, TSTO, TSTO Act 2 Calendar, TSTO Addicts, TSTO Itchy and Scratchy Act II Calendar, TSTO Itchy and Scratchy Event, TSTO Itchy and Scratchy Land Prizes, TSTO Tips & Tricks, TSTO Tips and Tricks. Bookmark the permalink. I was experiencing a lag in my game and found if I broke the loop on the track, and now the act 2 ride, it goes away. Bort Bort Bort (oops I meant bbbbut) if you were wise enough to save your Crafting Currency to build the whole Log Flume Ride? (raises ✋ ) Then you may find yourself spending sprinkles to maintain a 2 Day lead on the Event Calendar (which comes in handy if you have a work schedule, or still experience game lag, that makes it difficult to log into the Game App 4 times a day). It was payday yesterday so I bought the Maw Spuckler deal. With the donuts from that I bought Attendant SVT & Dr. Nick (who was in my vault). I should have waited as I would have preferred June Bellamy over a skin for SVT. But all good, I’ll hopefully get June next payday. I AM SO *#@$%=!ing §&€x”%#@!ed!, Purchased the Truckload of 300 donuts because of the Bonus Spuckler character offer. Transaction was completed and then immediately got the #/*¥!ing Bart server fail screen (I’m SO SICK of that graphic) . Reopened game and went back through the purchase process. Prompt said “You’ve already purchased this. Would you like to place?”. Tpped OK and immediately get Bart “cannot connect” screen. Repeat. Reapeat. Repeat. No donuts, no bonus character. EA should just shut this thing down. Seriously. ALWAYS, ALWAYS, ALWAYS hassles and more hassles with every update. They finally drop some content that I’m interested in (I’m not mad at this whole Krrustyland overhaul) and make me want to slap myself for spending real money on this game. If you shadow out the roads does is still look like items are placed looking ‘glitchy’ like that? But this was when I was trying to move my squidport tiles , the tiles moved and the fish stayed, it looks kind of fun tho so I don’t mind. Maybe it is something similar with your game, can you try moving the items, like you would to group store and see if that fixes it? A New Bug; For the last 6-ish days I’ve been forced to reload updates at least 10 times now; the app starts up and then starts downloading 1463.0MB of updates. I can log in for about 3-4 times, and then it downloads the same updates again. I reinstalled and bounced the phone, but no fix, and no joy. If you are on Android, it is a space issue. You need at least 4 gigs free. It’s been around a long time. I don’t expect a fix anytime soon…or ever. You RULE. Thanks for saving my sanity! Is anyone else having problems getting the promised bonuses with donut bundles? Did not receive bonus scratch offs nor Ma Spuckler. Is it just a visual glitch or did all your times shift so they’re now on roads? I just read your comment below sorry 😂. I would first try a hard restart of the game and if that doesn’t work your probally going to have to move the times back. But hopefully it won’t take that long because you can just select the whole area except for the roads and move them over. I’m sorry…you win. I have never seen that happen. Ever. What kind of device are you using? It’s almost as if he display has been constricted. Have you tried uninstalling the game? It really looks like it’s just a visual glitch. They happen sometimes. If you’re not able to select and move them around (or even move the roads for that matter), it’s a visual glitch. Beyond uninstall/reinstall there’s not much else we can advise you to do. Have you tried doing anything we suggested? town and see if your town looks how you see it in the picture or if it looks how it is meant to? As another suggestion, it could be that your game is zoomed in? And maybe it is making items look off centre. As I play the game on my ipad, not sure if this is the problem or if it will work, but I guess it is worth a try. I just visited your land, I can see the buildings and decorations as being on the road too, so it must not be your device showing it. Are there any decorations or buildings that you may have placed or bought recently that may have caused it? I’ve never seen anything like that in any neighbours springfields before. I purchased the summer concert box today. I got L.T. Smash, and originally found him pretty meh. The more I use him, the funnier he is, and I was surprised to learn he has event tasks. Building+character+ easier event? Definitely worth 80. How much was he originally? 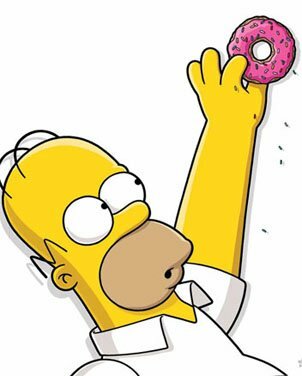 He was originally 140 donuts when he was first released but he didn’t help with the event he came from (Homerpalooza). Now he is much better because he: helps with the event on both prize track and crafting currency; is one of the two characters in the summer mystery box that is voiced; his building fits in with other media buildings like KBBL, Channel 6 and Krustylu; and he has funny visual tasks with one of him wearing a sign saying prepare for the end and another of him controlling a drone outside his building and the drone flies across the screen (similar to Arthur Fortune and the Calabresis’ in the Springfield Jobs). Do we really get 6 free npc(I think that’s how the letters go… lol) after a 300 donut scratchy that seems out of there zone. Anyways did I misunderstand it or did we really get 7 characters from this act. How can I show you the screenshot? A good tip heading into new acts and I think I’ve stayed here before. Save up your daily quest if you’re already in bonut section at the end of an act. I had saved 2 of my 3 daily quests and left the 3rd slot open so it would fill today. Started Act 2 with a 4,500 item boost. Just had to say Patric that you & I are in the same boat when it comes to unusual spelling of our names & nothing for us is ever mass produced! My daughter; Then a funds poor student; Waited in a line fer 4 hours to get me a personalised can of Coke a few Xmasses back! I drained the can from underneath, rinsed it out, & still have it! The only thing with my actual name on it! Bort would be a cooler prize if game Bart was as exited about Itchy & Scratchy Land as show Bart was in the 90s. Game Bart is just into recycling, I guess. My tavern on the scream has become the “tavern on the stream”. To enter, one would cross a gondola accross water. So many new possibilities! What have you made? Hugh footprint for something that doesn’t work, and definitely not grind worthy, think ea should fix the lag now and not after the even, then I can design a very large footprint. And I just don’t like it. Once again, adding the log ride induces lag, so you have to keep it unconnected to try & stop your game from grinding to a halt while you’re grinding through act 2. This morning was a nightmare to get through with all the park visitors to tap, with 192 characters to tap on a 4 hr mission from last night, tapping my KEM farm, it took 45 minutes to get through it all. I’m at a point where I’m gonna’ forego sending characters on missions to collect $ to offset my KEM, & just take a hit on the $ until my xp collider bonus is over in 4 days or until I run out of $ to KEM, whichever comes first. EA needs to up the item limit if they’re gonna’ keep having us plop stuff in our towns for events. After I stored the Injury 500 track, the log ride caused no noticeable lag at all. Now imagine having to individually tap 309 playable charachters! It must be the Public Works employee in me but what about those Construction Vehicles? We just leveled KL and we constantly move everything around without so much as a single bulldozer? I’m at the point that if EA wants me to grind all the way to the end in one of these acts, the last prize better be a beloved character or a character/building combo. Too much to ask, I know, but I’m done with the grinding for a charactet I don’t care about. I only cared enough in Act I to get to the statue. Probably will be the same here. Does not show what? It’s there…in two formats… So, not sure what you are seeing. Its hard to get excited about grinding every four hours when the grand prize is…Bort, a character who appeared on screen for exactly five seconds. Granted, at this point they are running out of characters but it would have be great if Scratchy had been the final prize instead of 300 donuts. Also, anyone else notice you cannot place the new objects on the Krustyland tiles or sometimes even on pavement? I am waiting for Lionel Hutz. I am officially done with the grinding. Life is too short: yes, haha, coming from a 34 year old, I just don’t have the energy for this. Yes, I know, it really only is about 15-20 minutes every 4 hours, but still, I’m not getting the satisfaction/enjoyment that I used to get from this game. I deleted the game yesterday, after not playing the last 10 days of Act 1. I’ll probably lurk around here for a while though. I enjoy the site, the comments, and the community here. I really like Patric’s posts, and I’ll be sending some money soon for your noble work in Uganda. See you around! Brian…I do you hope that you’ll stick around, and come back after a break. 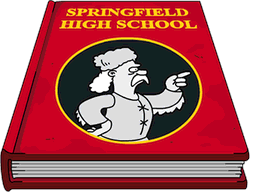 This whole update is not only Grindtastic…but, boring…once we got the whole Krustyland thing ironed out. Lots of folks “take a breather,” and it sounds like you need one. Hope to see you back again at some point. I actually hope EA brings us content worthy of winning back players. This. Isn’t. It. A lot of times taking a break is part of playing. If it’s not fun, why do it? I used to work in a calendar factory. I was fired for taking a couple days off.